The Collective Global Accelerator is a 4-week programme based in London, open for social entrepreneurs from all over the world. The four-week residential programme brings together the best and brightest social entrepreneurs from all over the world, with diverse backgrounds and businesses. 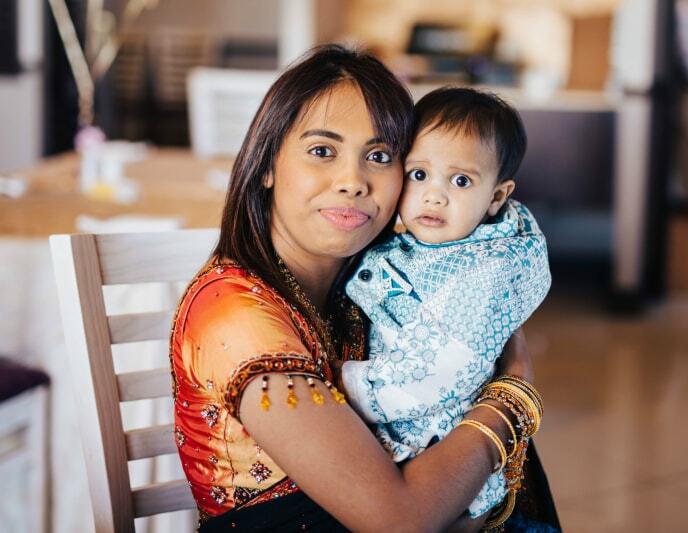 This year mompreneur, Shaney Vijendranath, co-founder of Momsays & You, Baby and I Blog was chosen to be part of a community of people who share the commitment to do good; to grow into a global innovators, and to get access to world-class experts and thought leaders. I connected with Shaney to learn more about her business and to get tips from her journey to success. You have been selected to join the 2018 cohort of the Collective Global Accelerator (CGA). Congratulations, how did you become involved? Thank you. I came across a tweet which I then sent to my husband to check out (Twitter is exceptionally useful for startups who want to know what is happening in this space). He applied without me knowing. A few weeks later, I received an email saying I made it to the second round of judging. I was shocked but also very excited and thankful to my husband for applying. There were 4000 entrants. What are your feelings after being chosen as a finalist? Honestly, I never expected it. I think I’m still a bit shocked. Being a startup company in the parenting industry has been a very difficult journey for me thus far in South Africa. It’s hard to try and get investors to understand the market, what moms want and why it is so important. What do you think has been the most positive outcome of acceleration for your startup? It got the attention of many local investors and we’ve seen an increase in sign-ups per day. Usually startups are given three minutes for their pitch, but how would you describe Momsays? What problem do you solve? Did you know, 65% of moms trust what other moms buy in the retail market? 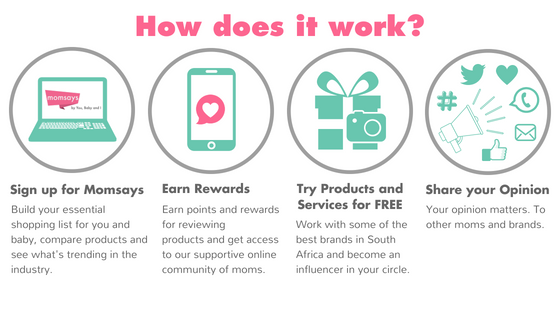 Imagine having access to a platform that shows you the trending lists of products based on what your friends, family and experienced moms say, a platform that rewards you for sharing your opinion and gives you an opportunity to collaborate with some of the biggest brands in the world.Momsays is an analytics platform that helps brands engage and sell more effectively to new moms by utilising the collective knowledge of 1000’s of experienced moms in South Africa. Momsays also provides a platform for Mompreneurs in Africa to connect, collaborate and network with each other. The problem we are solving: I became a mom at 21-years-old. It was hard trying to filter out the top baby products on the internet. Everyone had their own lists, but no one shared what South African moms were purchasing and why. Word of Mouth remains the “holy grail” of marketing. Momsays helps first-time moms build their essential shopping lists based on experienced mom’s reviews and opinions. More than 50% of moms feel companies don’t communicate or advertise to them personally. This means there are 1 billion moms worldwide that don’t personally connect with the products sold to them. Because Moms trust what other moms buy. Momsays offers brands an opportunity to connect and market more personally to momsumers. In your opinion, is being a woman in the startup business a help or a hindrance? Definitely not a hindrance but it doesn’t also give you an ‘advantage’. I don’t think we need an advantage, all we need is for men to start taking us more seriously in this industry. We should be given equal opportunities. Unfortunately, stats say less than 4% of women startups acquire venture capital funding which is shocking! There are so many talented women in tech who are building amazing startups but without funding and support, they are struggling. Hopefully I can help change that a little in South Africa with Momsays. How important is support from other women in the startup environment? Building a startup can become a very lonely journey, having a tribe that motivates and encourages you is so important. We need to let go of the hate and jealousy and think about how we can work together. You've recently secured an equity investment from Identity FutureFund. What have you discovered during this process that can help female entrepreneurs? You need to educate yourself on all things legal. Always get a second opinion and a lawyer to have a look at the agreement before you sign. You don’t want to giveaway too much control of something you worked extremely hard to build but you also don’t want to hold on to something you know you can’t build on your own. The entrepreneur/investor relationship is quite complex. What should an entrepreneur look for in an angel investor? Honestly, the best advice I can give is that you need to find someone who shares your vision and has the same passion for what you are trying to build. Having a strong team is what helps build a great startup. What are the ambitions of Momsays? I have so many, but I am trying to take it one step at a time, so I don’t overwhelm myself or my users, but the big dream is to create an accelerator program for Mompreneurs in Africa. I also want to include AI (Artificial Intelligence) on Momsays, so it makes mom’s shopping experience online more exciting. What did you do to get here? And where do you still aim to go? I spent close to 4 years building my brand and creating a trusted community online. This is just beginning for me. I still have a long road ahead, but I feel like after returning from the Collective Global Accelerator, things are going to get extremely busy. We are also phasing out Momsays for the next couple of months, focusing on the basics first then building from there. What benefits do your communities provide to a mom who wants to be an entrepreneur? Opportunities to collaborate and network with like-minded women. Parenting bloggers who want to take their blogs seriously have an opportunity to sign up on the Momsays platform to earn. Access to a platform to research an idea, BETA test and sell your products. Seminars about building a brand and how to pitch to potential investors. Access to Mentors and an opportunity to engage with investors. Your focus for Momsays is for mom entrepreneurs. Do you also work with non-moms? Unfortunately, not but I do have relationships with companies who do. Besides funding, my biggest struggle was finding the right developers to work with who understood my vision and end goal. Being a mom of 3 kids who works from home, this gets very difficult. I’m trying to work on planning my week ahead and every day I work with a list of tasks I need to complete. I do skip many work events because of family time and honestly, I don’t regret it. I realized that you can’t be at all and you can’t try to do everything at once. There has to be a balance. I think I answered this a little above. I don’t work after 5pm and on weekends unless it is really important. I also have a “date day” with my kids so each one has the day dedicated to him or her and we do what they want. My daughter is the only one who really understands this right now, but she loves it and looks forward to it. If you could give one bit of advice to moms who are thinking about becoming entrepreneurs, what would that be?